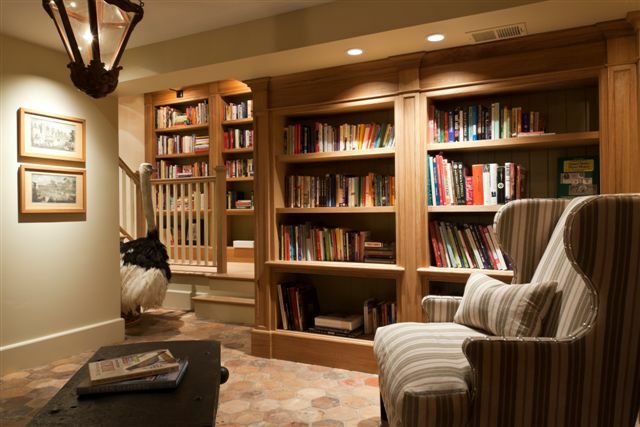 Bruno Holmes is a rare book collector, who remembers vividly why he is passionate about fire safety in his new basement library. Born and raised in the south coast of England, Bruno’s first foray into collector’s books was running a second hand bookshop in a basement-level store in greater London. On one summer evening, Bruno was tending the counter when disaster struck. Bruno tried to escape out back – but that’s when the importance of a “means of egress” became apparent. Fortunately, London’s Fire Brigade arrived and fire fighters with axes were able to hack open the back door and pull Bruno to safety – but he never forgot the experience. Which is why, when he moved to Long Island with his American wife and kids, he was very particular about finishing the basement in his Babylon home. Bruno spoke to a contractor and was able to install a basement window well and egress window fairly affordably. But to Bruno, the real value isn’t measured in dollars. ← How Secure are Basement Windows?